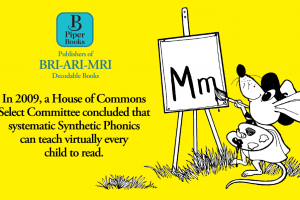 BRI, ARI and MRI decodables are based on rigorous Synthetic Phonics (blending sounds into words – no guessing) within carefully structured stories. 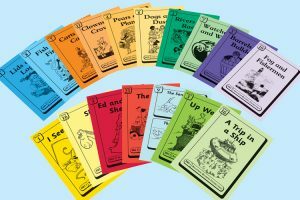 The series of books contains much repetition and inbuilt overlearning, providing extra confidence to children with English as an Additional Language (EAL students). 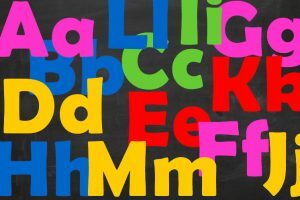 Research has also shown that additional-language English learners, in particular, benefit from gaining a strong awareness of sounds within words, a hallmark of all Synthetic Phonics programmes. Research has also shown that recognizing and understanding words in the context of a story is more effective than teaching through isolated exposure. This is particularly important for EAL children with limited exposure to English. Comprehension of language develops through multiple opportunities to say, hear and read the words in varied contexts. 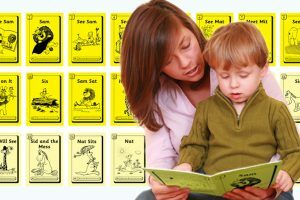 The BRI, ARI and MRI books are unique in providing extended decoding practice within expressive stories that highlight many aspects of a language as layered as English. In over 200 well-crafted short stories, learners become aware that words often carry more than a single meaning. For instance, right from the first few books of BRI, the word ‘see’ represents a number of meanings (in addition to the word’s primary meaning ‘look at’). The structure of the stories is extremely simple which means that children are never confronted with words that are difficult to read, or with code they have not been taught. Any new material is presented very clearly and succinctly in the inside cover of each book. All children, and older students, proceed at a different pace and for those who need additional practice with specific words, word building is a very simple and effective teaching tool (see Free Resources ). BRI and ARI instruction for English as a second language integrates the three foundations of literacy: decoding, comprehension and fluency. Together with gradual exposure to new words, skills are developed in every session, with each element helping to build and reinforce the others. 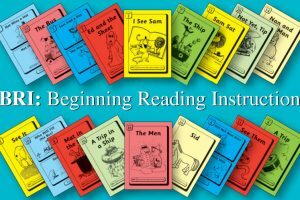 In an effective reading programme, there is intense focus on the most basic skill of all: the ability to decode words with ease. This enables children and older learners to decode virtually every word they encounter and build the confidence to read fluently. Fluent decoding skills automatically free each learner to concentrate on meaning and comprehension. BRI, ARI and MRI provide multiple opportunities to practice these decoding skills. 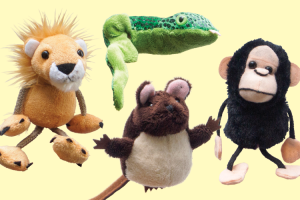 And such is the attachment to the antics of the animal characters in the BRI stories and interest in the various domestic happenings and adventures in the ARI tales, children become ‘hooked’. At the same time as they are getting involved with the stories, they are practicing hearing, saying, and understanding words. The 78 lively BRI storybooks are limited to single-syllable words that provide EAL learners with unrivalled practice in decoding, fluency, and comprehension skills. At this stage (see BRI SPELL books) children are able to sound-write and spell (encode) hundreds of words. The 42 ARI storybooks introduce two- to four-syllable words, and gradually introduce the complexities of grammar. 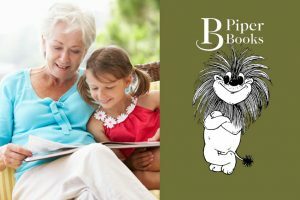 The books provide children with sustained reading while maintaining BRI’s unique characteristics of simplicity, overlearning and interleaving. The straightforward, rigorous instructions accompanying BRI and ARI, together with the incremental development of the stories, enable a teaching assistant, in liaison with a class teacher, to provide the additional practice, and tracking, required by EAL pupils. 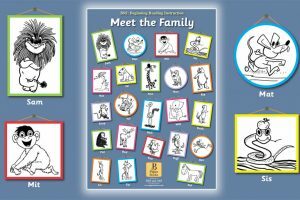 The series is also ideal for home practice and serves the dual purpose of helping EAL children to catch up with their peers and encouraging the involvement of parents in their child’s reading journey. To begin reading the books requires only a minimum of English. MRI books for older students are modelled on the elements and instructional approach of the BRI and ARI books. 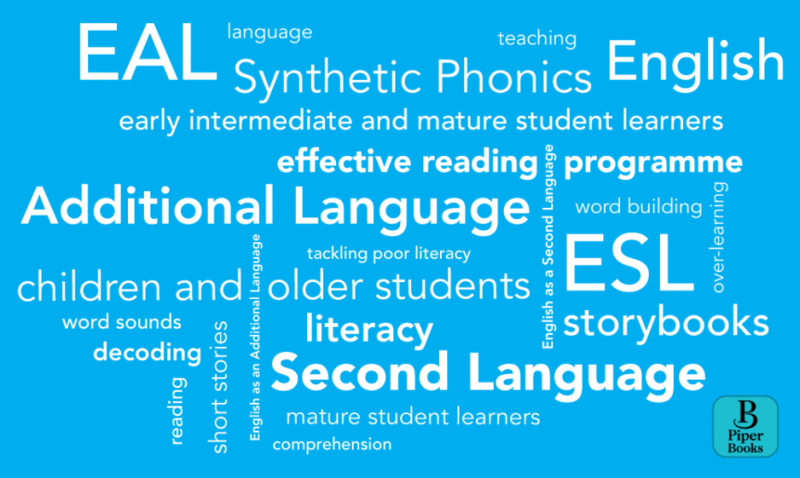 They combine effective systematic phonics instruction for EAL students with a print-rich environment that provides exposure to appealing reading materials in varied genres. As students learn to read advanced texts, they must learn the meaning of new words that are not part of their oral vocabulary. The 50 MRI books contain tales from Africa, Asia, the Middle East, the Americas, Europe and Australia, as well as a selection of great works of English literature. The stories, combining wit and liveliness, are backed-up by a comprehensive Tutor Guide [About the Stories, Record Keeping, Fluency Practice, Copying and Dictation Exercises, Frequently Asked Questions, Troubleshooting] and offer the necessary elements to provide EAL students with the skills necessary to become proficient readers. They also present ample opportunity for conversations to develop around plots and character motivation.